Check out the list of Easter Egg Hunts over at Pensacola With Kids! The ad LAST WEEK is still valid through Saturday. Stores closed Sunday for Easter. So, the NEW AD starts Monday. Thanks to I Heart Publix for these Super Deals! Buy 4, use 2 of each Q, pay $0.33 each! Stack Manuf Q w/ Publix Q to get .45¢ per bottle! Our region got $0.35 off 1 last Sunday. Last time, these cheapest Steamfresh was $0.90 each). Buy 2, Use 2 $0.35 & $1/2 Publix Q. Pay $0.05 each! WOW! Strawberries are $2. So buy this with Sara Lee. Use both $1 and $1.75 Publix Q. Pay $1.14. If Cool-Whip has $1 off strawberries peelies, also buy 2 Cool Whip and possibly get these free (they’re on BOGO Sale $1.99). Thanks for the scenario! We're getting 2 Smart Source and 1 Redplum Coupon Insert. 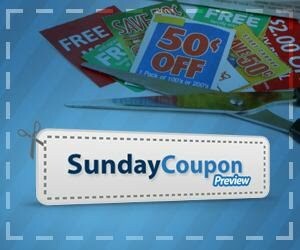 See the complete lists at Sunday Coupon Preview. Please note that some coupons are regional, and we don't get a lot of the coupons. More info on the coupons HERE. Or scroll down to the next post. This afternoon, amidst the rush hour traffic, we braved Publix, more so because I was dying to find out if Chocolate Cheerios was part of the BOGO deal! YES they are! Since I tried them at a friend's house, I knew that this would soon be my favorite cereal. I snagged six boxes since they were only $0.50 each after Qs. Some (maybe one) will be donated and there is plenty more at the store. The total was $114.76 before sales & coupons. BUT I only forked over $26.45, saving 77%, Yay! 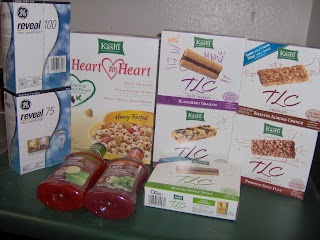 We splurged on the cream cheese ($3 for 3 and no coupons!) 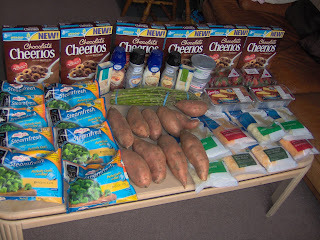 and I was stocking up on the sweet potatoes and asparagus. (They're headedto the freezer). You can't beat the price on the cheese, and I might get more later. They put a new $2/2 blinkie so there's plenty of coupons to go around. I'll post pictures later, I just wanted to make sure to give you all a head's up. These deals are outstanding, so stock-up! Thanks I Heart Publix for these Super Deals! $2.49/lb festive sliced turkey, in deli! Plus submit for $5 SCJohnson Rebate, you can submit for 3! 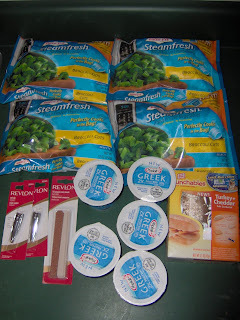 Only $0.50 for 4 items after rebate! Spring is here and Spring Break is upon us. Many of you must be thinking about a quickie vacation. 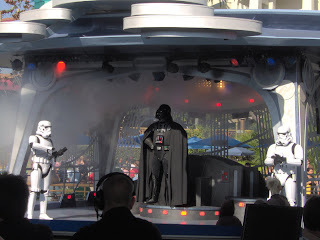 Over at Life As Mom, others are linking up their Disney vacations. If you have been or thinking about it, share your thoughts! We've been in Florida for 4 years and have yet to visit Disney World. Since we are in the northwest, it would take us the same time to get there than if we still lived in Virginia! But, lucky for our kids, my parents live an hour and a half from Disney LAND. 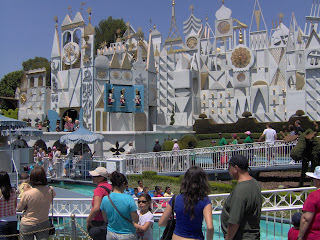 So, when we went to California last summer for vacation, they finally got to see the home of the Big Mouse. Since our kids were only 4 and 6 last year, and being their first time there, we had to take it easy. Big rides were out of our league as was lots of walking. So we opted for many simple and entertaining activities. 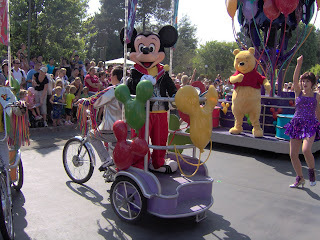 The parade was a highlight because they got to see all their favorite characters and dance with them. Yes, it's ok to play in the street! 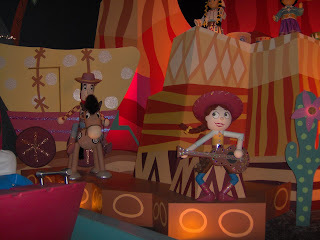 I've always loved It's A Small World, well, any ride that let's you sit down gets a star in my book. Plus, again, they got to see lots of characters. Preschoolers don't care if it's the mannequin model. Everytime my son, then 4, saw Woody, his little eyes would light up and he'd wave, "Hi Woody, I'm over here." 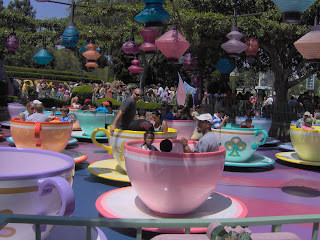 The teacup: my kids' first ride! I had no idea how many rides for younger kids get overlooked. They're quite fun! We took the River Cruise at sundown. It was already cooler by that time. 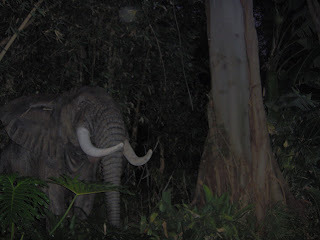 My kids thought they were in a real jungle! 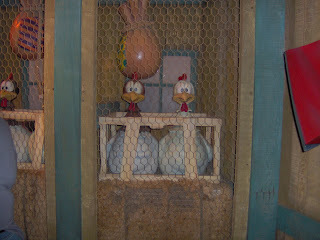 Escape the heat by visiting character's houses! Plus you get the treat of having your picture taken with them at the end. It was one line you wouldn't get bored standing for an hour. Star Wars was fun to watch. Kids can participate too. Did I mention, you get to sit down for this one too? We saw the fireworks on our way to the parking lot. By the end of the trip, we were all exhausted! 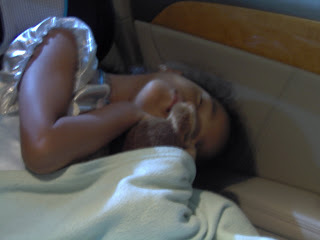 In the car, our daughter always falls asleep like this: looking like her head is broken. You see a real wonder and excitement in younger children when they visit Disney. It's inspiring to see it through their innocence. Given another opportunity, we'd love to go back. I'd love to spend the night and go two days. Traffic there, let's just say, is unique and unpredictable. Less driving is better! 1. There are no Dollar Trees in that part of California. So stock-up back home for souvenirs and leave them in the car. Wal-Mart didn't have a lot of varieties. 2. If you are planning to buy food there, bring smelling salts. You will faint from the prices! I almost cried having to pay $12 for 1 meal. It is so NOT frugal. Bring what you can carry without getting tired. 3. We didn't rent strollers but our kids had their own backpacks for snacks. Forget the purse, we also had our backpacks. 4. Our girl dressed up in her princess outfit (with pants underneath) and that made her feel very special. One 3 year old came up to her and said, "Hi Cinderella!" It was so precious! 5. Take the monorail and train. The kids think it's just one of the rides. 6. Accept the fact that you won't get to see everything. Just try to have fun an create memories! We had just talked about “going green” at our MOPs group. I was asked to share a few tips for an impromptu testimonial. Honestly, I was at a loss. My present thinking is far removed from environmental friendliness. Instead, it’s focused on mommy friendliness: things that make my life easier, without hurting my wallet. 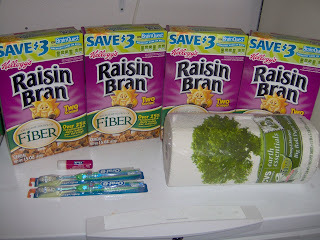 As I went along chatting, I dug up some vague memories of being thrifty and green. But, it’s a lifestyle that eludes me. 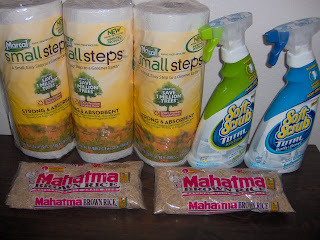 Recently, I found this blog, Kitchen Stewardship, through her guest post on Money Saving Mom. I was immediately intrigued by her site, especially reading all about sprouting beans. I can’t wait to try her tips! Yesterday she talked about antibacterial soap and its main ingredient TRICLOSAN. She is also challenging readers to get it out of the house. Doesn’t she know I’m a frugal shopper with a stockpile of this stuff?I took a quick glance at what I have to see if triclosan is an ingredient. Number one thought in my mind, “Where will all my Dawn soap go?” The wildlife preserve asks for it all the time. So better greasy ducks than my hands I guess. Number two, it’s in my Colgate toothpaste, under the guise of antigingivitis. I’ve been putting stuff that goes into antibacterial soap in my mouth. Ugh… yuck! That’s all I can handle right now. We do use Method soap which has none of the T word. But only because I got it for $0.50 at Target. What will I do when I can’t find anything comparable on sale? I'll have to use Tom's of Maine or Burt's Bees for toothpaste! I think I’m freaking out! Oh, God help me. God can give me the right attitude to at least consider taking the baby steps without falling into paralysis analysis. After all, He could have Burt’s Bees on deep clearance tomorrow. I prayed about being frugal, and He’s taken me this far. I’ll be on my knees about triclosan too for sure! Have you gone anti-antibacterial? Visit Katie at Kitchen Stewardship to learn more: from baby steps to taking a leap! On St. Patrick's Day, we always go all out with food and crafts. Somehow this year, it just didn't happen. We had MOPs that morning and we are always too tired and needing naps afterwards. Oh, yeah. Now, I remember, I spent 2 hours at Target trying to teach my 6year old the value of shopping with coupons. She was not at all with it. She was more interested in twirling around in circles in the middle of the aisle. I blame it on the chocolate cupcake I let her eat right before our educational endeavors! But, I digress. We still had our corned beef and cabbage dinner. Wal-Mart had them on sale for $2.10/lb. I wish now that I had stocked-up on it. Even though I am not a drop Irish, corned beef was something I grew up eating in Manila, albeit from a can. I love that bad-for-your-blood-pressure, excessively salty taste. With cabbage only $0.29/lb at Publix, this was easily a $5 family meal. You can put the corned beef in the slow cooker. But I used my pressure cooker (PC) for lack of time. Cut the beef in 3 or 4 pieces. Put inside the PC with enough water to cover it. Add the spice packet that comes with the beef. Cook on high until the top whistles. Reduce the heat to medium and cook for 30 minutes. Run the top of the PC under tap water to allow steam to escape. This is the part where I duck and hide because the hissing scares me. Then open and add your veggies. Cover again and heat the PC until the top whistles. The veggies should be done around 5 minutes after that. Serve with rolls and enjoy! Of course, leftover corned beef is perfect for a Reuben sandwich. But ours never makes it to leftovers. 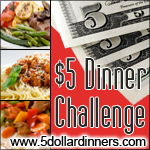 Visit $5 Dinner Challenge and get inspired to feast for less! I skipped making a menu last week. But not this week! I don't think I can afford to skip anymore. Most dinners were spent with me scratching my head trying to come up with something. What are you planning for to cook this week? 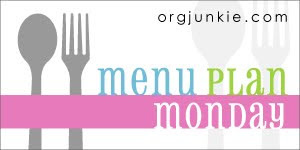 Join Menu Plan Monday where hundreds gather to share their menus and recipes! Since April is only a few days, I'm asking my family what they would like me to make for dinner. Then I'll inventory our "storehouse" and make a tentative menu for the month. My goal is to make a simple rotating schedule for freezer cooking. It's starting to get hot here in Florida and I do not want to get stuck in the kitchen! 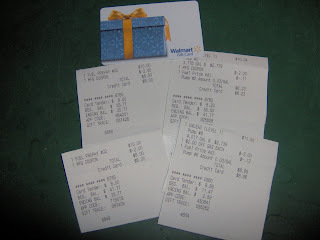 The links will lead you to her blog, where I found links for the coupons and rebates. Pay only $1 for both! This is part of the Buy 2 Get $5 GC! Only $1.46 each after GC! Pay only $0.16 each game! YAY! our store was out of this so I'll be stalking them until they do. I realize that it's already Saturday. And I have no excuse for posting these so late. 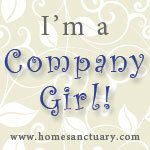 I have been enjoying the fruits of our labor- housecleaning for a few days straight! So for now, I'll post the links for the ads and match-ups. 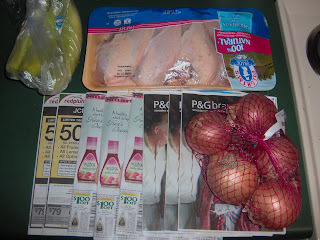 New this week is Coupon Chix Food World's post. She is a blogger that covers Pensacola stores! Greer's has Kraft cheese (blocks and shreds 7-8 oz) for $1.67. If you grabbed those $2 off 2 Kraft coupons at Publix (blinkies) then this will only be $0.67 each. You can price-match this at Wal-Mart (or Target if you have the full ad). 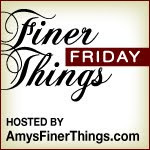 Link-up with Amy at Finer Things Friday and feel a smile overtake you! The images below are Steve Edson's. My Fine Thing this week is fond memories. That could be anything right? But for a young mom submerged in the overwhelming day-to-day struggles of motherhood, it’s hard to even remember anything past yesterday. My mind is filled to the brim with to-dos and I-didn’ts that only this week did I find myself smiling and remembering good things about myself. On Thursday, I was reminiscing with my husband about the one time in my life I played sports. 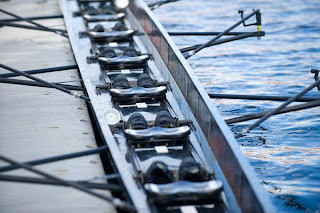 Well, most won’t even consider Crew a sport. But that’s what I did for 4 months in high school. Before then, I grew up in Manila and it was either you did well in academics or sports. Both was not an option since most of the intramural games were during school hours. 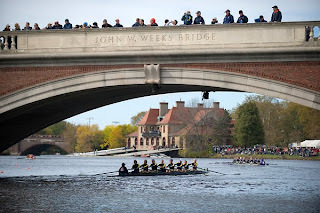 Somehow, my newly immigrated mom allowed me to sign-up for crew my junior year in high school. We ran 3 miles to and from the lake everyday after school and spent a couple hours rowing. It was late winter when the season started and ice floated along the banks of the lake. The water was freezing cold and we would dip our bruised knuckles to numb the pain. We would row to the middle of the lake and lay on our backs, looking up at the sky. What peace I felt then. And as we rowed, the stillness of the water ahead reflected the houses and trees perfectly like a painting. Friday Fail: Dish Soap Dumped in My Bag! 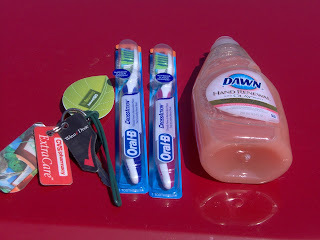 Friday, I was so glad to get my FREE Dawn Renewal dish soap. There was a $1 Q in a booklet I got in the mail. I’ve heard reports that CVS had these on sale for $0.97 so I made sure to pick it up. Because I only bought 3 items, I didn’t ask for a bag. Instead I put everything in my newly assembled and organized coupon bag. I slept soundly knowing that I snagged another great deal. The sweet smell of success, literally, I was smelling a sweet scent in the air. This morning, I was cleaning up and looking forward to some blogging. So I got my coupon bag. Volia! Mystery solved. 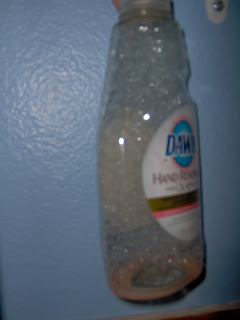 The sweet smell was that bottle of dish soap upside down in my bag with the top OFF! Only a smidget of soap was left. Everything dripped into the front of my bag and on the floor. Thank goodness I put it in the front flap and not inside with my coupon inserts and binder. I took all the stuff out of it, and rinsed it in the tub. 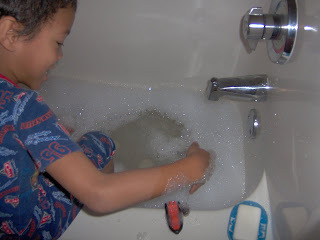 Then, I just filled up the tub with the suds from my bag and let the kids enjoy this major FAIL. They had a blast with all the bubbles. It was such a bad idea to put that dish soap in my bag, especially since it has no seal or anything. Good thing it was free! Only my pride was hurt, not my wallet. Sometimes all we can do is laugh at our mistakes! 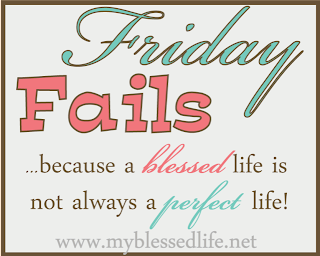 Share your stories at Friday Fail. 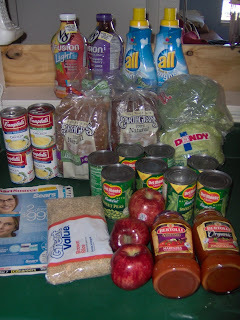 Super Shopping: Lots of Freebies! My total for the week (from March 6-13) is $57. Double what I have been spending for the past few weeks. But I will get $5 back for a Rebate and also got $17 RRs! So only $35 after the Rebate and ECBs. Since I've been paying cash for food purchases, I find myself spending less. My husband thinks it's because it hurts more to give them my dollars and cents knowing I'm not getting it back. He is so right! 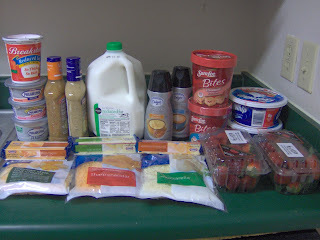 I also went to Publix on Thursday but we put all the items away before I could get a picture! My total for that was $8.34 (saved $49.24 or 85%). 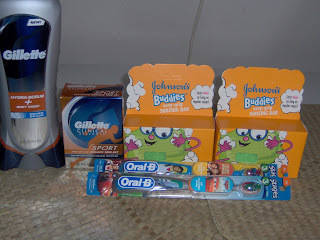 These are all the items bought FREE with coupons! 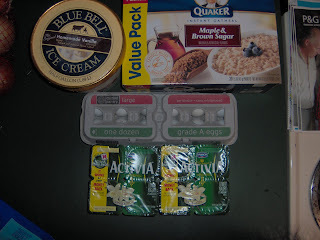 The next morning, I stopped by Target again for some staples (Blue Bell Ice Cream for $2.88!) and paid $10.12 for everything. The 30-pack oatmeal was on clearance for $3.48 and I had a $1 Q! 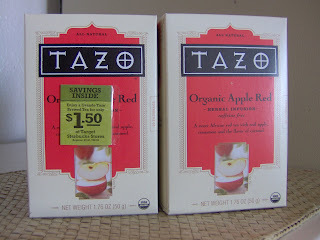 I wanted to share this neat find: Tazo Organic Apple Tea is only $1.78 but some boxes had $1.50 off 2 Qs. It also had a Q that will let you get a Grande (I think) Tazo Tea at Starbucks for only $1.50. My friend and I went shopping together and hunted and hunted for extra peelies. Luckily we found one for each of us! 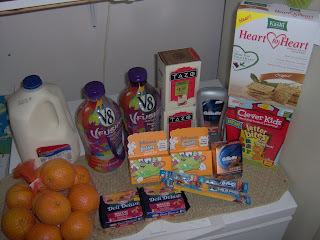 These are the items I got at Target for FREE plus overage. On Sunday, I stopped by Wal-Mart and bought these for $9. I asked for extra inserts at Customer Service and they gave me 2! We saved $8.40 on gas using 4 coupons ($2 off $10 Murphy USA) at the Wal-Mart gas station. Instead of $41.40, we filled up the tank for $33! At Food World, the paper towels and rice are FREE. I used the FREE Marcal Q from 3.7 SS and Redplum had $0.50 Qs for rice that they doubled, to make the rice free (use zip 90210). Soft Scrub is FREE at Publix this week using Target Q and manuf Q. Use the links at Totally Target to get the Qs. This Sunday I got these at CVS and paid $0 because I used ECBs, coupons and a CVS money card. BUT, the toothbrushes I picked up were NOT the right ones. So I had to go back and fix it. I came back, got the right toothbrushes. All these for FREE + $1.50 moneymaker! This week was not that great cooking wise for me. I was sick for a couple of days then my husband was sick right after that. My plans for monthly menu planning and freezer cooking had to yet get postponed. At least we bought some groceries yesterday and today. So we'll see! I'm heading over to Menu Plan Monday for great ideas! 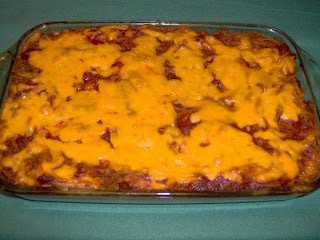 We had baked spaghetti: your average spaghetti baked with cheese on top! I'm starting to bake again. 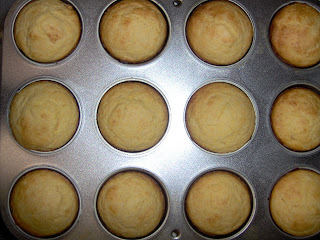 Warm cornbread was great with butter. 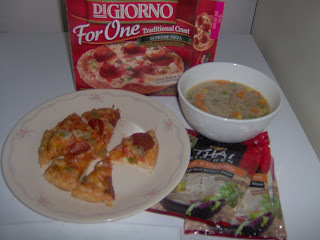 When I was sick, the kids and I had pizza and noodles for lunch. Weird combo but it only cost $0.19! I had a FREE pizza Q and 2 Thai Kitchen $1 Qs. I've been shopping as little as possible over these past couple of weeks. This week, I couldn't remember when I went shopping. It was last Sunday! My total for the week was only $28. I'll shop again by Tuesday to ake advantage of grocery deals before they end. I'll get the 2 FREE things at CVS on Sunday too. 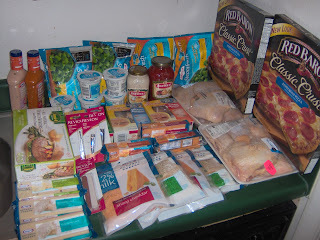 Price-matching at Wal-Mart saved 55% and I spent $20 not $45! 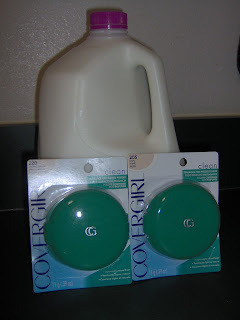 I uused $2.50 & BOGO Covergirl Qs to get overage for the milk. The milk cost $1.20 instead of $3.29 from the overage. 92% Savings! I spent $7 at Target instead of $21 for 67% savings! 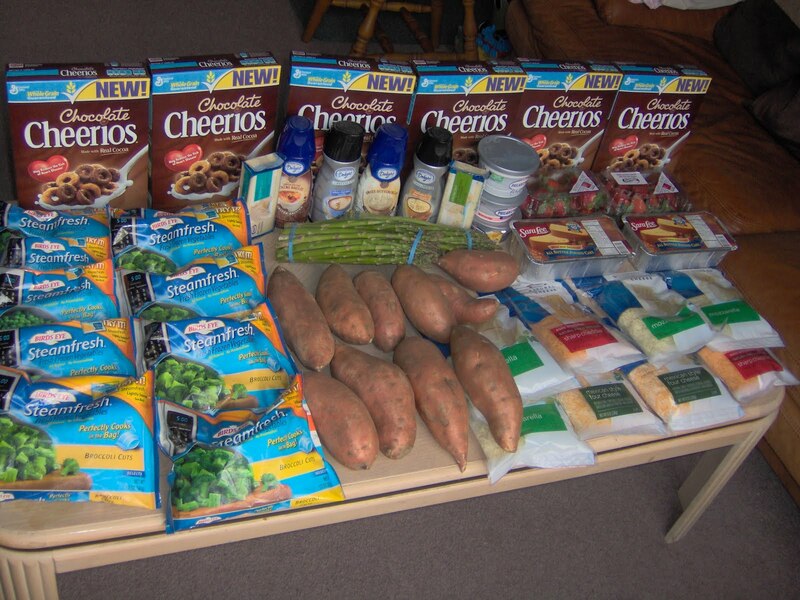 Seeing how other mamas out there are saving on their groceries is motivating and inspiring. Plus that's how I figure what deals I missed!